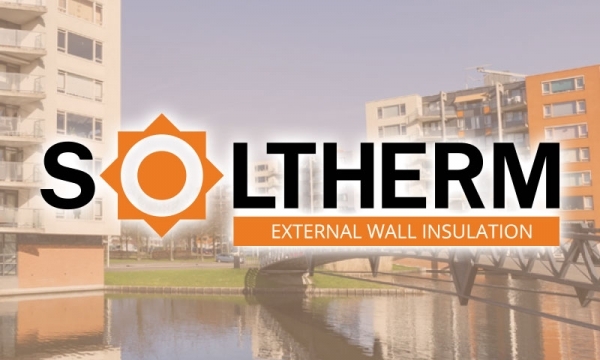 Castle Forms is very pleased to announce that we have been appointed approved distributors of Soltherm external wall insulation and render systems in Ireland. Soltherm produces the most advanced EWI systems on the European market for the past 25 years under the supervision of specialist technicians. Over 100 million m2 of EWI has been supplied across Europe to date from Russia in the east to Ireland in the west and down to the Mediterranean. In terms of critical features such as impact resistance, algae resistance, durability and overall performance Soltherm systems are unbeatable. Soltherm is one of the largest and most experienced EWI brands in Europe. Since they began, they have manufactured and delivered over 100 million m² of insulation and components across 15 countries. Soltherm have over 25 years’ experience, acquired in a wide variety of climates and weather patterns. "Our production plant is state of the art and ISO certified. We hold certifications with British BBA, and from authorities across Europe. Our research and development laboratory allows us to constantly innovate new products and test existing components and systems, to ensure the highest quality of materials for the U.K. market. We have patented solutions with extreme resistance to high wind loads. Our products reflect the latest technological innovations and stylistic trends in architecture. We have a fully OJEU compliant framework available with the ability to bring ECO funding into your regeneration projects." Longevity - Quality products that will stand the test of time. Warmth & Comfort - Providing occupiers with warm homes and better health outcomes. Beauty - With a range of design solutions we can provide bespoke design to make homes and communities beautiful. Safety - Cutting edge technology delivering non-combustible wind-proof systems that ensure peace of mind. Strength - Strongest system in the Irish market capable of withstanding extremely strong winds. Impact resistance - Impact resistant walls, helping protect against acts of vandalism. Vapour Permeability - A system which ensures that the moisture is driven to the exterior. Low Water Absorption - No EWI damage caused by water absorption and accumulation. Wash-Off Resistance - Perfectly matched products with severe weather: high humidity and low temperature conditions. Self- Cleaning Pearl Effect - High hydrophobicity. Low Salt Efflorescence - Resistance to salt efflorescence, which change the color of the facade. 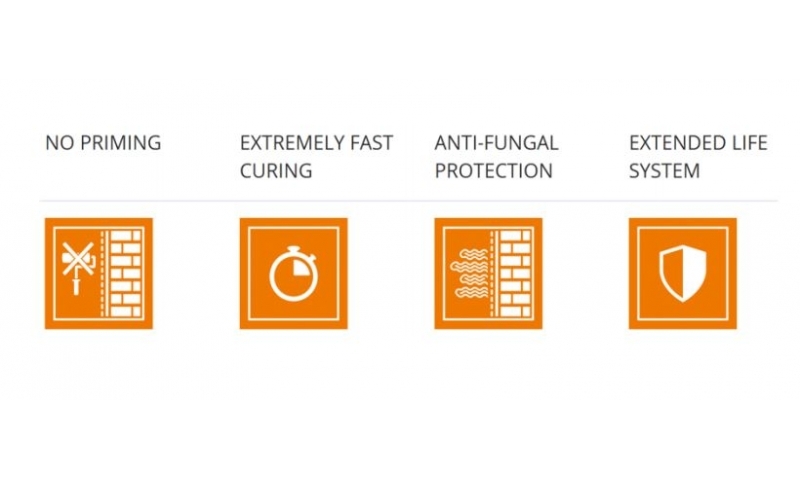 Anti-fungal Protection - Increased resistance to overgrowth by algae and fungi. High UV Resistance - Long-lasting, vivid colors and high color stability. Wind Load - Special mechanical fixing which provides extreme resistance to wind loads. WHY SHOULD YOU INSTALL EWI? Non-insulated buildings are vulnerable to a wide range of hazards. 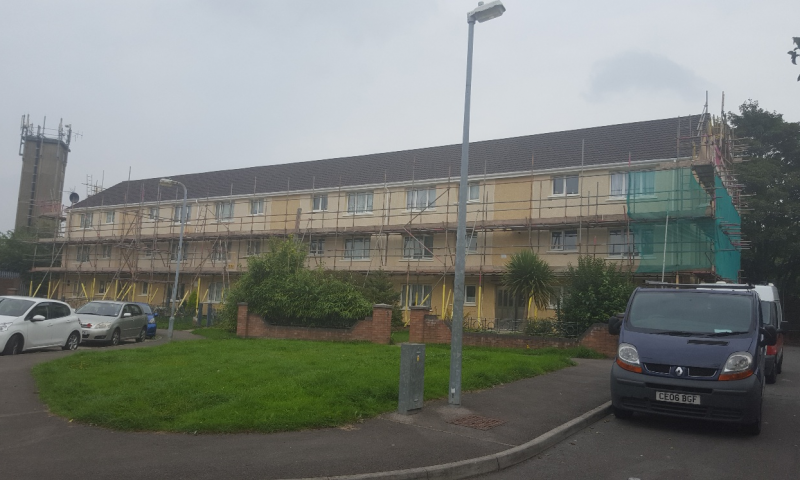 There are also a number of other economical, ecological and health issues that can have an impact on anyone living inside.These are problems that can be solved by simply installing EWI. By installing EWI you will reduce heating requirements and therefore reduce your overall carbon footprint. Efficient insulation can reduce heating bills by up to 40%. The investment in EWI will lower maintenance costs as well as energy consumption, ensuring that your house will meet current and future U-value regulations. Regenerating your home with EWI can improve the ascetics of your property and create a warm, healthy and comfortable environment. At our independent fire institute we are able to rigorously test systems in relation to fire safety. This ensures we deliver the safest products to the U.K., Europe and the rest of the world. During the installation process, our systems are adhesively fixed, with supplementary mechanical fixings. Adhesively fixed systems act as an additional fire barrier by reducing the chimney effect. Our systems contain encapsulated biocides to prevent the growth of algae and mould. They also include chemical properties to resist UV radiation. Soltherm systems have enhanced flexibility and vapour permeability, which drives moisture away from the fabric of the building. A major advantage of select Soltherm systems, is that they can be regularly maintained through a unique bespoke maintenance package. By pressure washing the system, you can easily and quickly refresh the facade and remove any grime, stains and dirt. We believe maintenance packages increase longevity whilst maintaining a fresh vibrant look for the life of the property. Through our patented ‘Cross Knot’ technology, we have a special mechanical fixing to provide extreme resistance to wind loads, ideal for buildings where safety is a top priority. We have a fully OJEU compliant framework that provides access to funding and works, and applies nationally to all social housing providers, to make procurement simple. Non-combustible. The strongest performing wind load. Our system is amongst the safest. 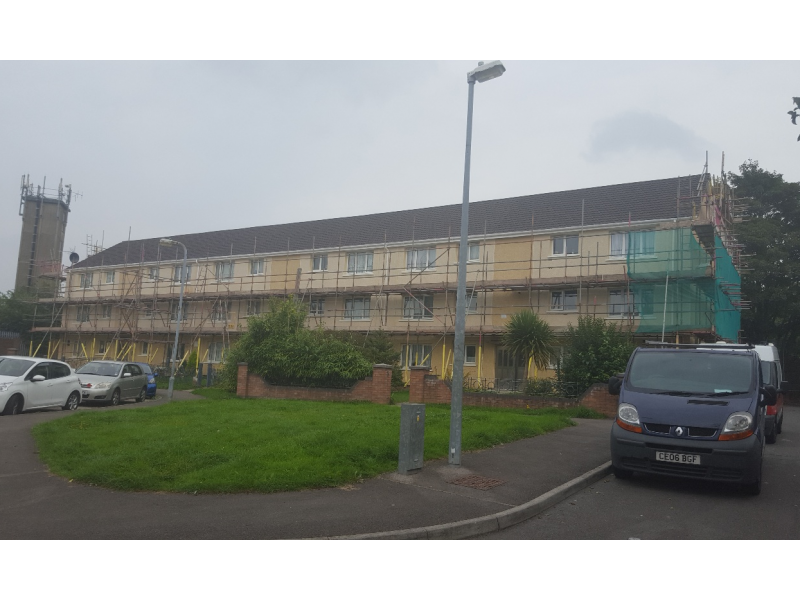 CROSS KNOT is a unique EWI solution, which combines the full forces of the insulation material. In this patented Soltherm solution, a mechanical fixing goes through two crossed fibreglass mesh strips to provide extreme resistance to wind loads. A standard fixing provides a reinforcement area that is restricted to the support washer area, however with Cross Knot this area is extended, as the crossed strips are both attached to the insulation material as well as fixed to the reinforcement. The mechanical fixing used in this process has the capability to hold down the insulation as fixing which can be tightened. This is ideal for buildings where wind loading is a concern, to ensure optimal security and safety during high winds. EARLY GRIP ADHESIVE is an innovative solution which increases initial adhesion and durability of the EWI system and increases the resistance to cracks. You can use it for both: EPS and mineral wool slabs. This ensures a shorter installation time. building. It’s highly weather and humidity resistant.